Welcome to Pine Island! 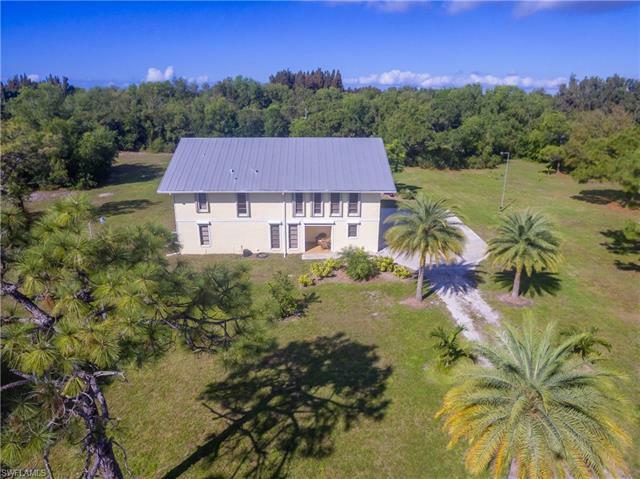 If you are looking for a property that will allow you to get away from the maddening crowds and enjoy the peace and solitude and still be close enough to civilization or the urge to âwet a lineâ; then this property is for you. It sits on 2.5 manicured acres with numerous lychee, banana, lemon, lime and Japanese tangerine trees as a bonus. The home itself is a split plan with a four-car garage, a laundry room and three extra rooms on the lower level. The upstairs is nicely appointed with a bright open living area, a breakfast bar and breakfast room along with a separate dining room for larger get togethers and it has many windows on all sides for wonderful cross-ventilation. There is a screened in porch across the entire back of the house that has several entrances from the inside along with a âpass throughâ to the kitchen and features âStorm Smartâ screens on the entire porch and a separate set of stairs to the outside; it also has multiple ceiling fans. The home features a metal roof and plenty of room to park your RV or boat. This island home would make a perfect vacation getaway or full time residence.